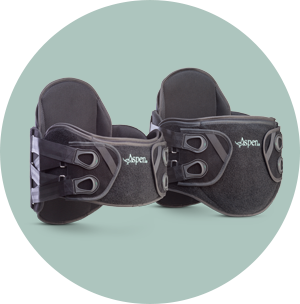 Aspen Sierra™ 637 LSO "bivalve style", highly-adjustable brace offers Aspen quality and motion restriction for post-operative patients. 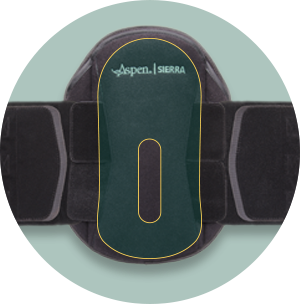 Featuring a dual-sided entry system from either the left or right side, Aspen Sierra LSO 637 is easy to apply on supine or ambulatory patients. All structural components are accessible and can be removed, molded, bent or trimmed, providing individualized customization options to meet various anatomical and medical needs. 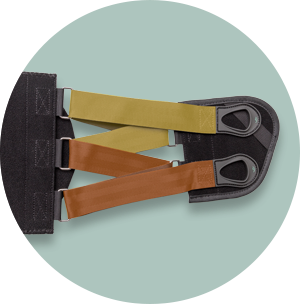 Fully adjustable, Aspen Sierra braces offer the broadest range of sizes per SKU on the market. 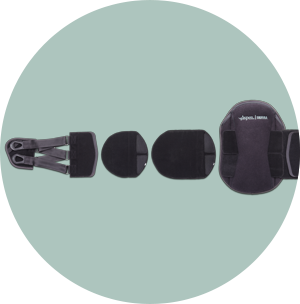 The cutout on the posterior panel helps reduce pressure on the incision site for increased patient comfort. The panel also offers a 15° lordosis.